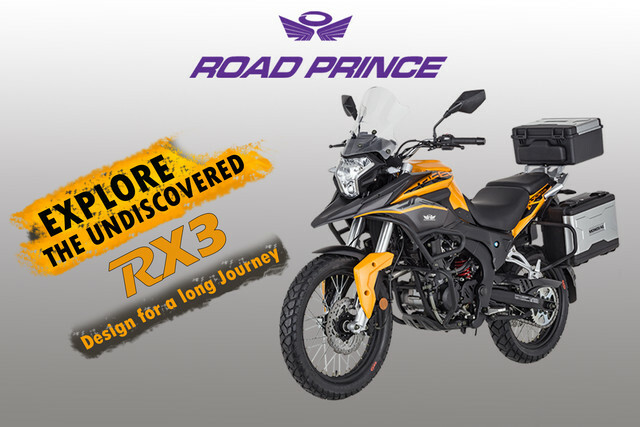 Road Prince a well-known brand of manufacturing high-quality bikes in Pakistan are planning to launch a new 250cc motorbike by the name of Road Prince RX3 250 2018 in Pakistan. It is expected to be considered among one of the most demanded Chinese heavy sports bike in Pakistan. It will be featuring innovative specs along with an appealing design language like any other sports bike in the market. The price of 2018 Road Prince RX3 250 in Pakistan is not announced yet by its officials, but according to some rumors in the market related to its price is that it will be around Rs.4,15,000. The rivals of this 250cc motorbike in the Pakistan Motorbike Industry are expected to be 2018 ZXMCO Cruise 200, Suzuki Inazuma 2018, Super Power SP Leo 2018 and many other 250cc sports bikes. No news is announced yet by the officials regarding the price or the launch date of new RX3 250 Road Prince 2018 in Pakistan. However, according to fans made rumors related to its price is that it will be around Rs.4,15,000. Low fuel economy and high price are the aspects which will differ this 250cc bike by Road Prince while comparing it with other brands 250cc bikes. Buyers who need to buy this new 250cc bike by Road Prince, but need to compare it first before making the decision, click here Compare 250cc Bikes. Furthermore, if you need to check the 250cc motorbikes which are available in this price range, click here Sports bikes.